In 2001 Buderus located its headquarters to Londonderry, New Hampshire, 50 miles north of Boston, Massachusetts. 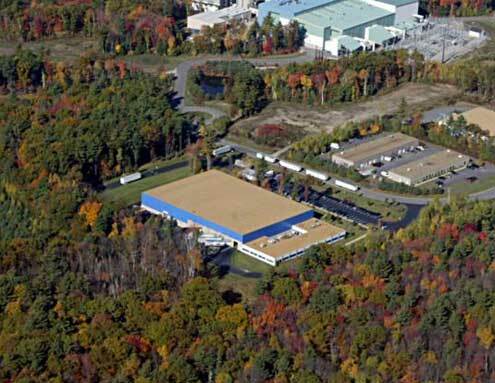 In addition to its state-of the-art training and distribution center in New Hampshire, the company has a large network of business partners to meet the growing demand for the company’s products throughout North America. Established in the United States in 1990, Buderus is a wholly-owned subsidiary of Buderus Heiztechnik GmbH of Wetzlar Germany. 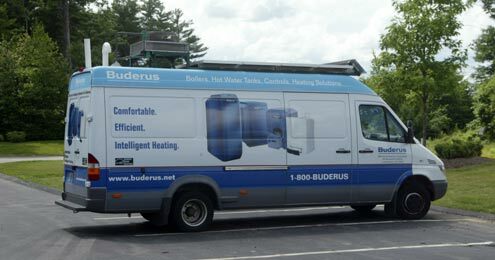 Buderus is a distributor of hot water heating equipment for residential and commercial applications. In North America, the company’s main product lines include: hot water boilers, domestic hot water storage tanks, climate and energy controls, panel radiators, and other hot water heating accessories. The company’s history dates back nearly 275 years, making Buderus a leader when it comes to manufacturing products that are energy efficient, user friendly, and environmentally sound. Buderus is located at 50 Wentworth Road. The “greening” of a prison facility through the installation of a Buderus solar thermal system. Since December 24, 2008, 800 inmates of Riverside Correctional Facility have been in hot water, but not of their own making. This hot water is made by the sun and it is estimated to save the City of Philadelphia $1.1 million and prevent one million pounds of carbon emissions over the 25-year life of the system. Unveiled on December 4, 2008 by Philadelphia Mayor Michael A. Nutter, this the first such system installed in a large urban jail in the U.S. and is one project towards the Mayor’s goal for Philadelphia to become the greenest city in America. The system was paid for with $400,000 from the prison system’s budget (spread over 3 years) with additional funding of $265,000 from the Mayor’s Office of Sustainability. It is expected to completely pay for itself in 8–10 years. The Riverside Correctional Facility, a multi-building complex, is the central intake for all women sent to jail in Philadelphia. The solar system was installed on one building with an average daily population of 800 that had recurring water heater failures. One project challenge was making the transition to the new system without interrupting the existing hot water service for personal hygiene, laundry, and cleaning. Another challenge was the limited existing boiler room space. The Buderus solar system replaced 15-year-old direct-fired water heaters with 45 roof-top solar collectors, 15 indirect storage tanks, 2 dual-fuel back-up boilers, and associated controller and pumps. 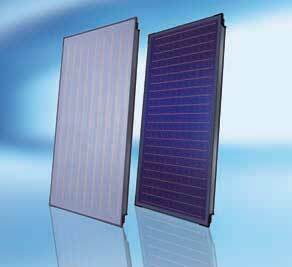 The solar panels transfer their heat to a closed, antifreeze-filled system, with “overheat protection” set to 265°F. The heat is transferred via dual coils to the water in the storage tanks. The back-up boilers provide additional heat, if needed, and are dual-fuel to take advantage of the lowest energy costs. Like to learn more about this Londonderry, New Hampshire Company? Visit the Buderus International website or the Buderus US headquarters website or call (603) 552-1100 for more information. Browse this map for detailed directions to Buderus.